Step by Step thought process on how a GM approaches each Opening move. Guaranteed to give you the tools to be a Better Chess Player !! 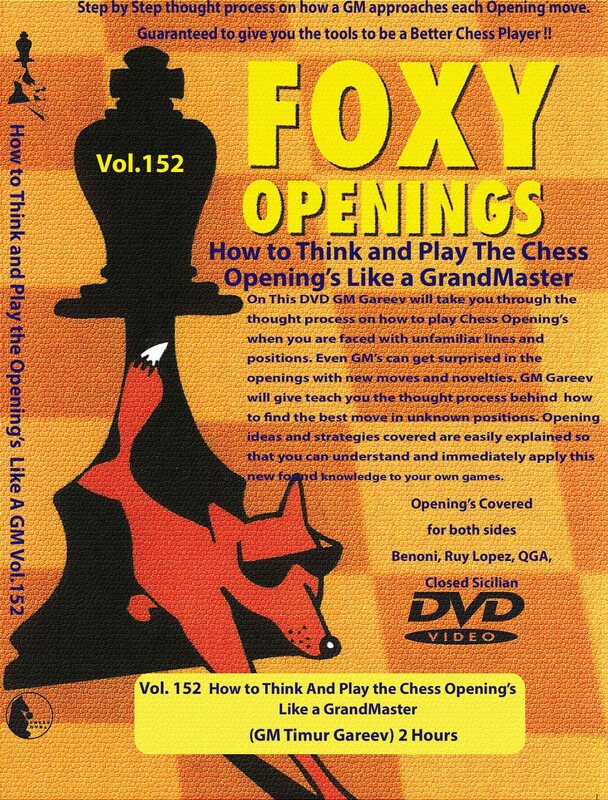 On This DVD GM Gareev will take you through the thought process on how to play Chess Opening’s when you are faced with unfamiliar lines and positions. Even GM’s can get surprised in the openings with new moves and novelties. GM Gareev will give teach you the thought process behind how to find the best move in unknown positions. Opening ideas and strategies covered are easily explained so that you can understand and immediately apply this new found knowledge to your own games.